Warner Bros. UK has revealed the official origin trailer for the highly anticipated WONDER WOMAN. Starring Gal Gadot, Chris Pine, Connie Nielson, Robin Wright, David Thewlis and directed by Patty Jenkins, WONDER WOMAN is released in UK cinemas June 2, 2017. Patty Jenkins directs the film from a screenplay by Allan Heinberg, story by Zack Snyder & Allan Heinberg and Jason Fuchs, based on characters from DC. Wonder Woman was created by William Moulton Marston. 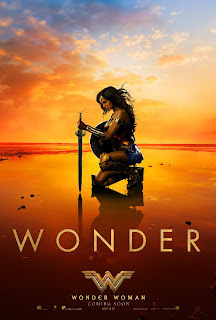 Warner Bros. Pictures presents, an Atlas Entertainment/Cruel and Unusual production, “Wonder Woman.” The film is scheduled for release beginning June 2, 2017, and will be distributed worldwide by Warner Bros. Pictures, a Warner Bros. Entertainment Company.